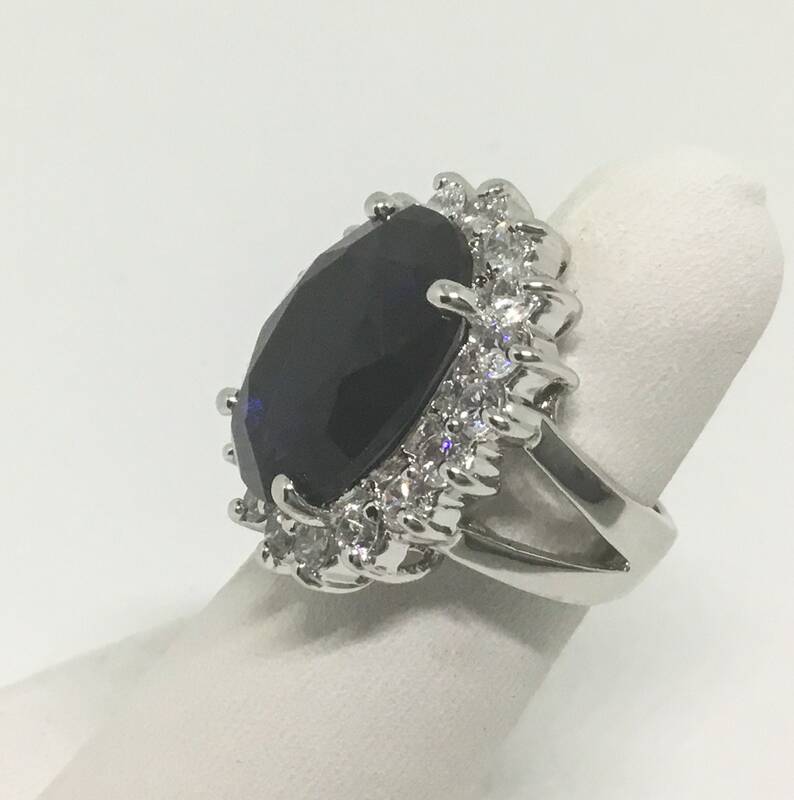 This is a fabulous Nolan Miller reproduction of the Princess Diana Royal Wedding Ring. 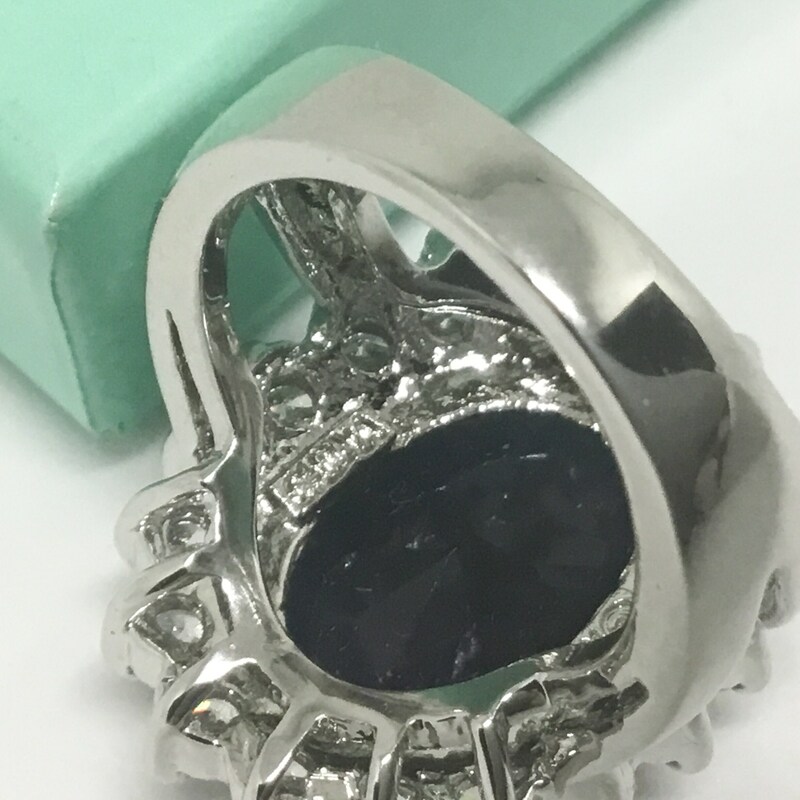 It is rhodium plated and looks like it was never worn. 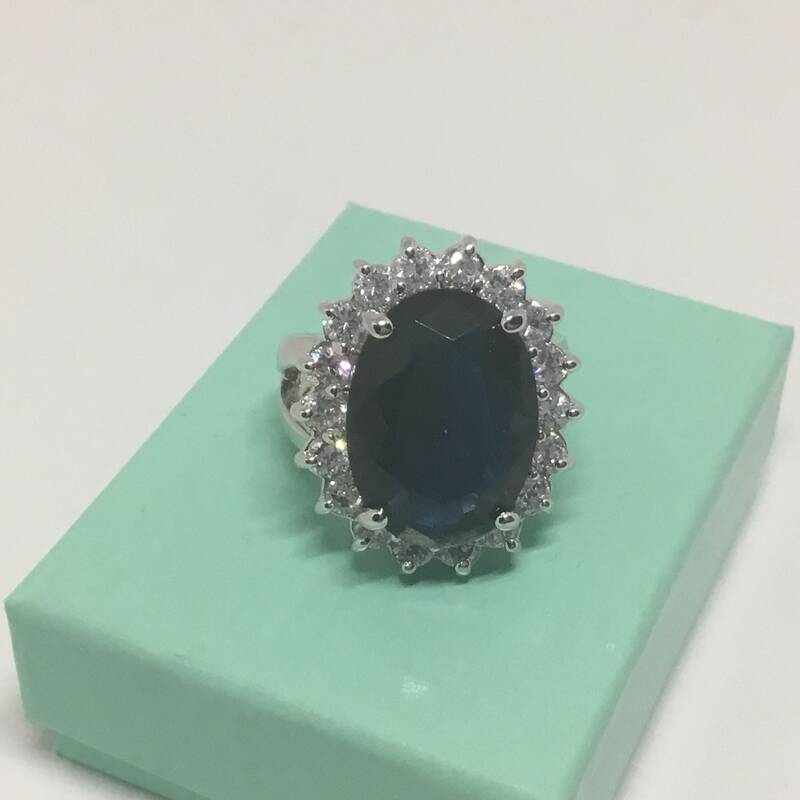 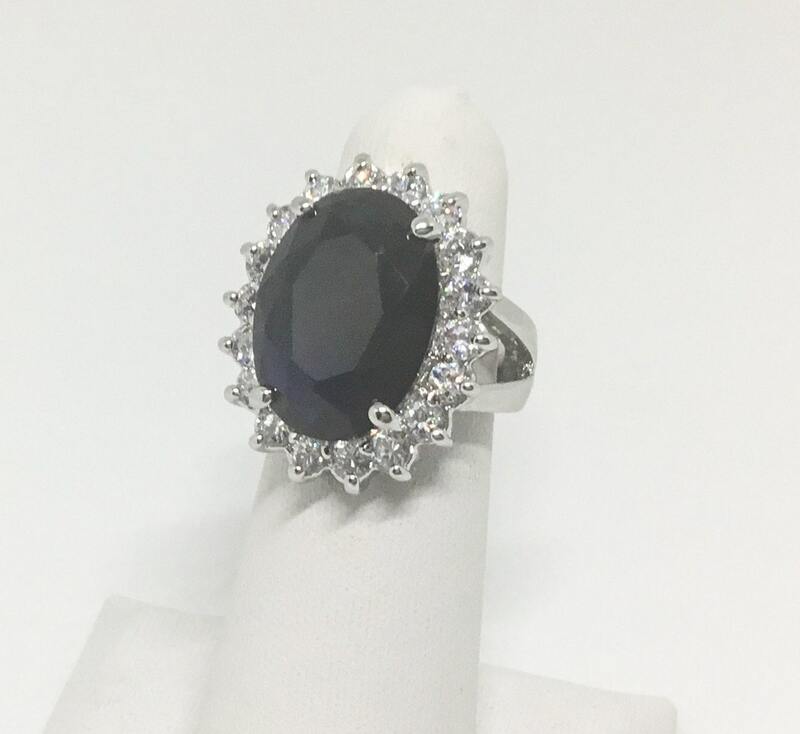 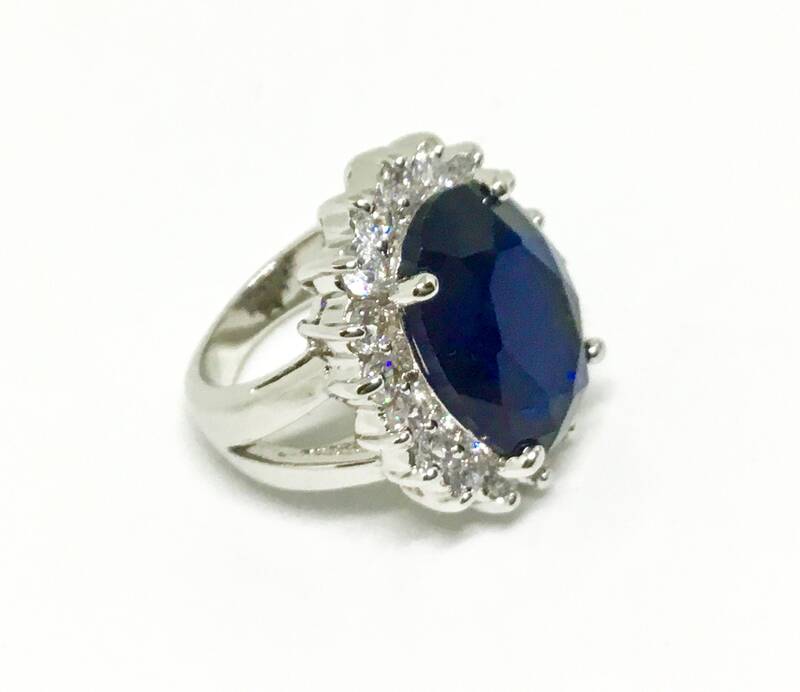 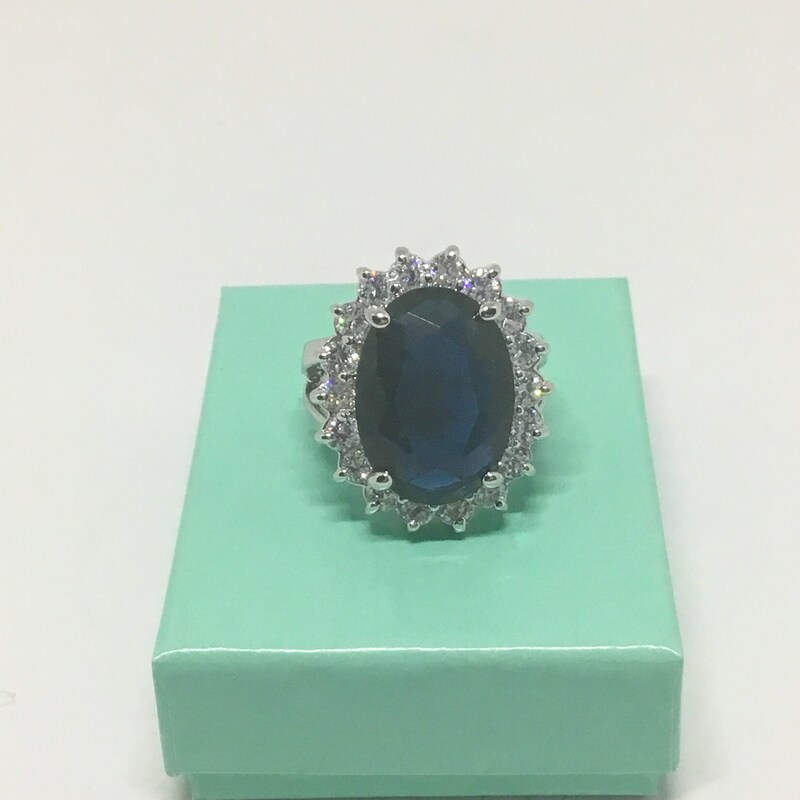 It has a large oval faceted deep blue CZ center. 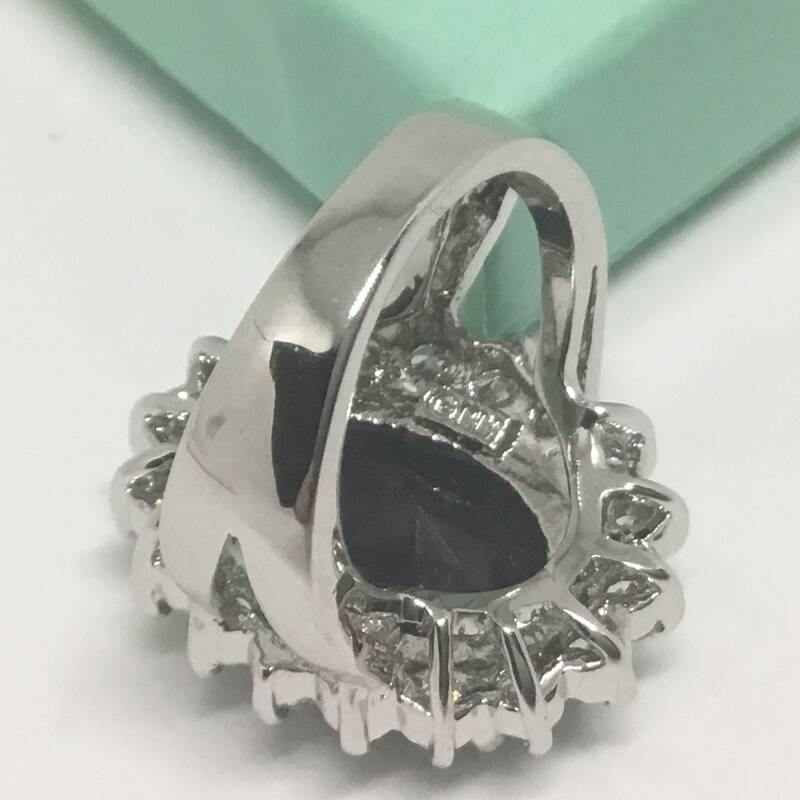 It is marked on the back of the ring “©️NM” and “CHINA”. 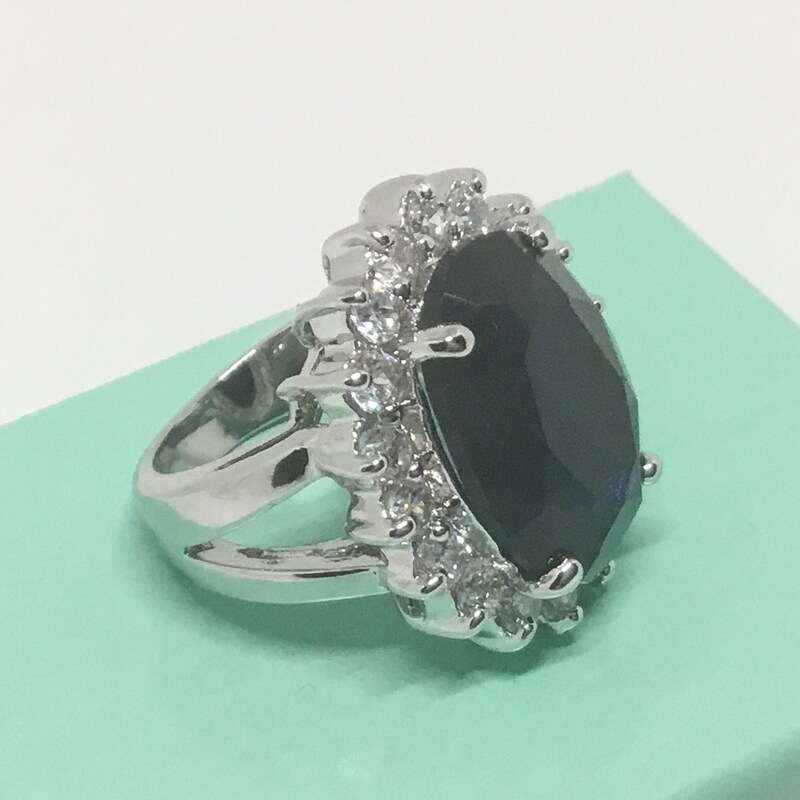 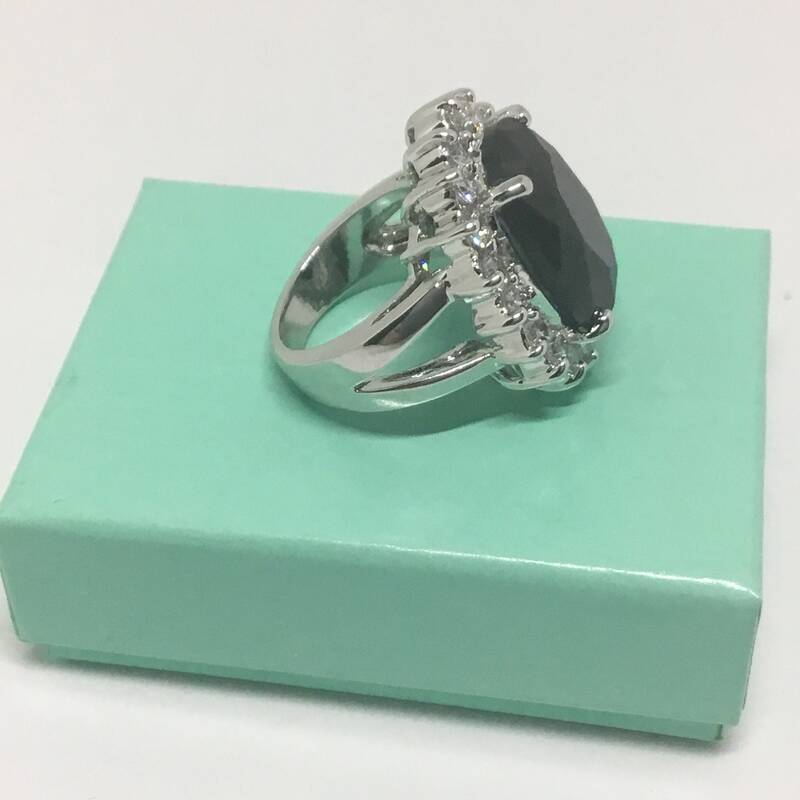 It is a size 5 and is definitely a statement ring! 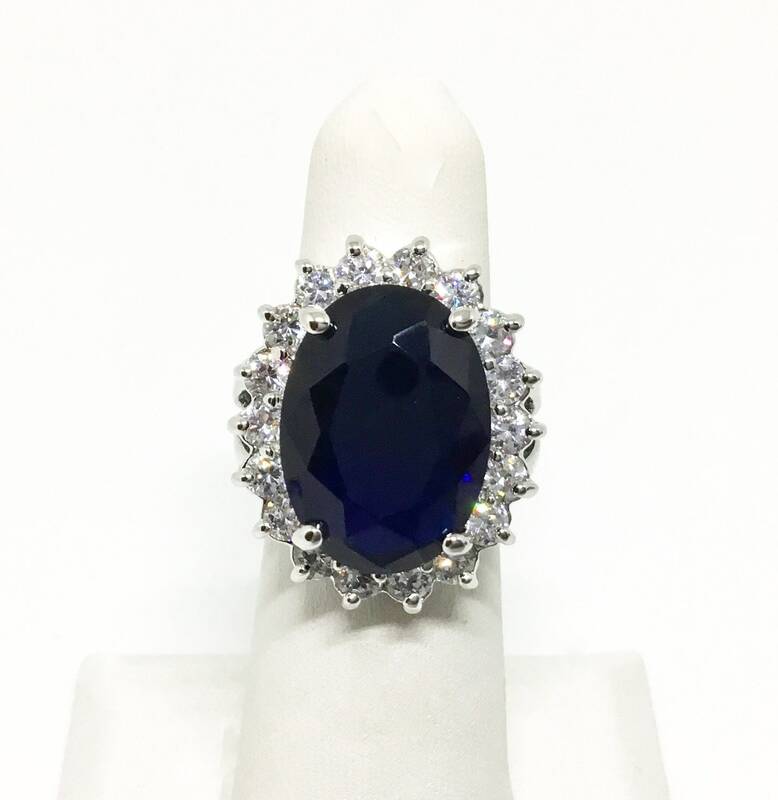 An elegant and dazzling ring to wear for any occasion.